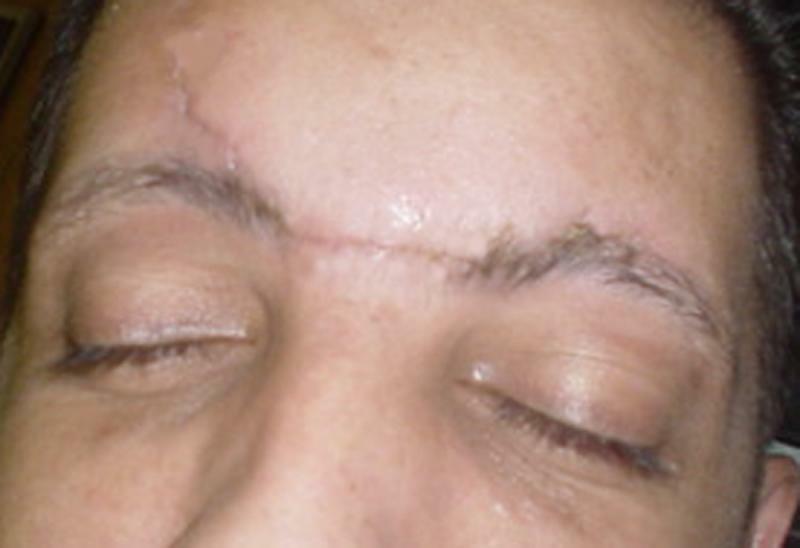 Scars can be very disfiguring, either in the emergency setting after trauma or after previous unsatisfactory surgery. 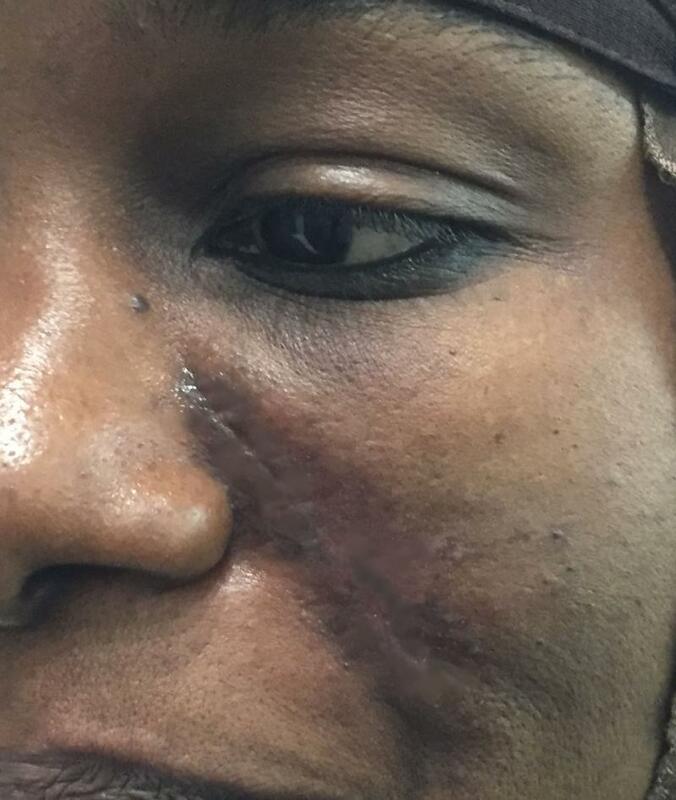 Dr. Wilson devised a new technique to manage scars wherever they are leading to a nearly invisible ultimate result. 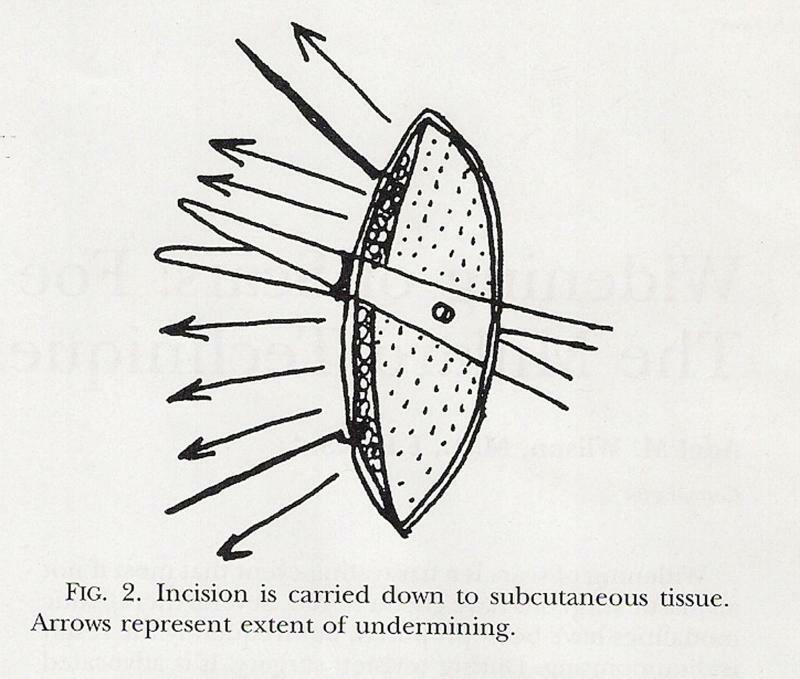 In this technique during surgery, Dr. Wilson reinforces the repair by ingenuous methods so that the end-result is a totally inconspicuous line. 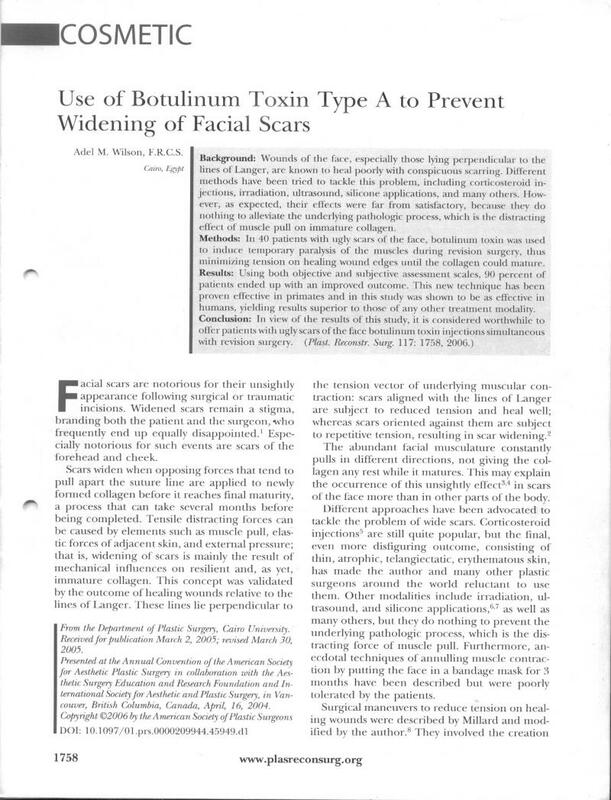 In the year 2006, Dr. Wilson further pioneered a new technique to treat scars by injecting them with Botulinum toxin. 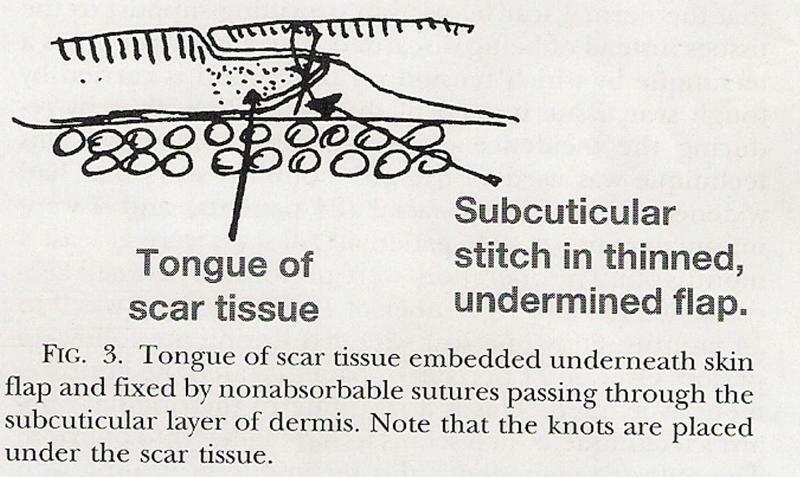 This technique was launched in the USA and has revolutionized the management of scars worldwide. After the surgery, it is important to avoid direct sunlight due to the injurious effect of ultraviolet rays. 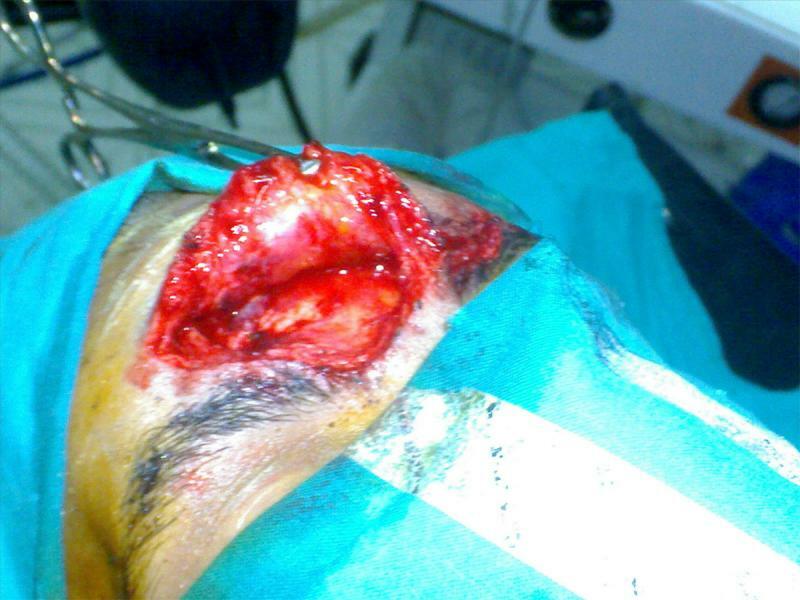 Also, topical sheets and gels might be prescribed to further enhance the effect of surgery. 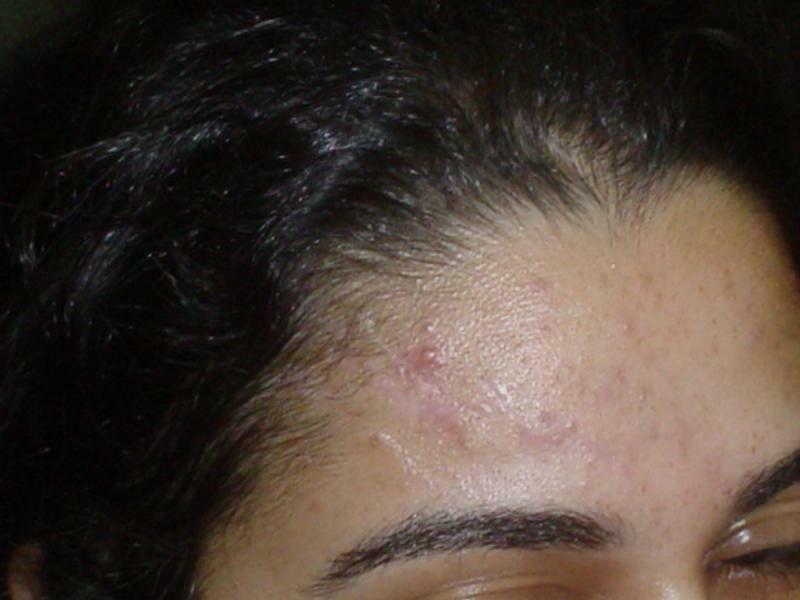 Several wounds in the forehead of a 19-yr. old female: Dr. Wilson applied his technique and result is a nearly invisible scar. 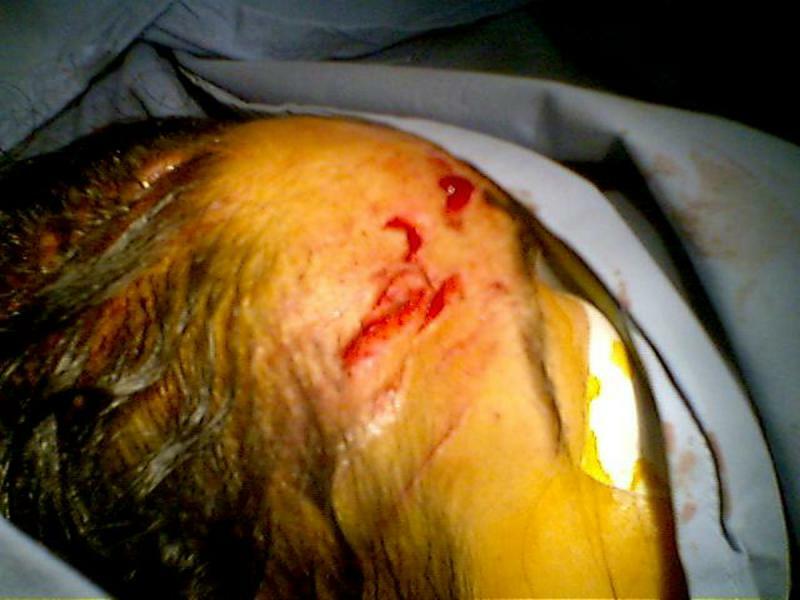 Long wound over the eyebrow in the forehead of a 46-yr. old male: Dr. Wilson applied his technique and result is a very thin inconspicuous scar. 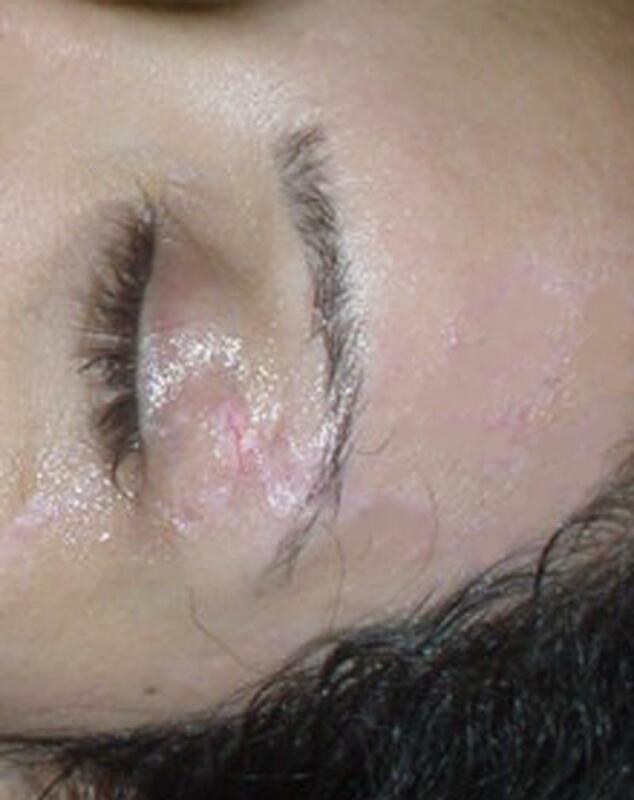 Degloved skin and extensive wound in temple, eyelids and cheek of a 23-yr. old female: Dr. Wilson applied his technique and result is a very thin inconspicuous scar. 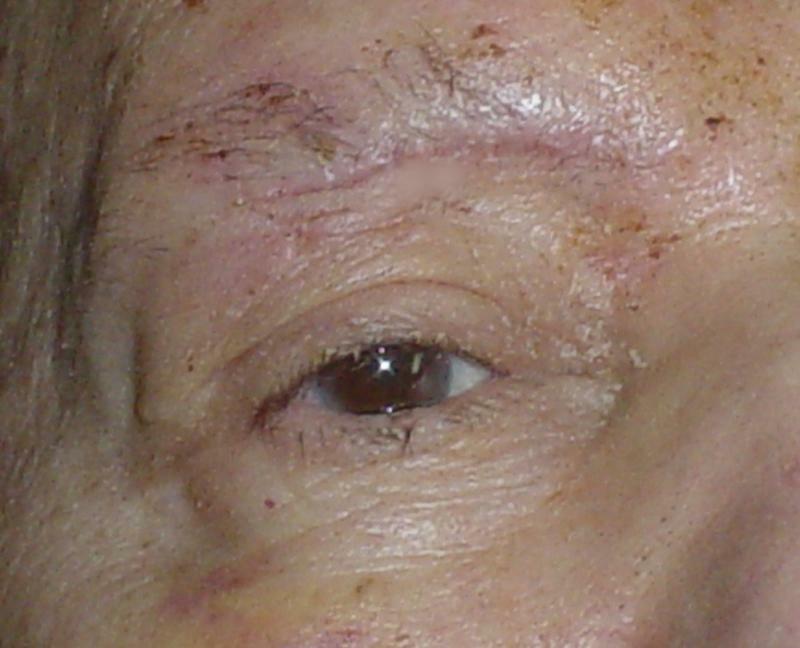 Deep laceration under the eyebrow and involving eyelid of a 76-yr. old male: Dr. Wilson repaired the muscle and skin using his technique and resulting ii a very thin invisible scar. 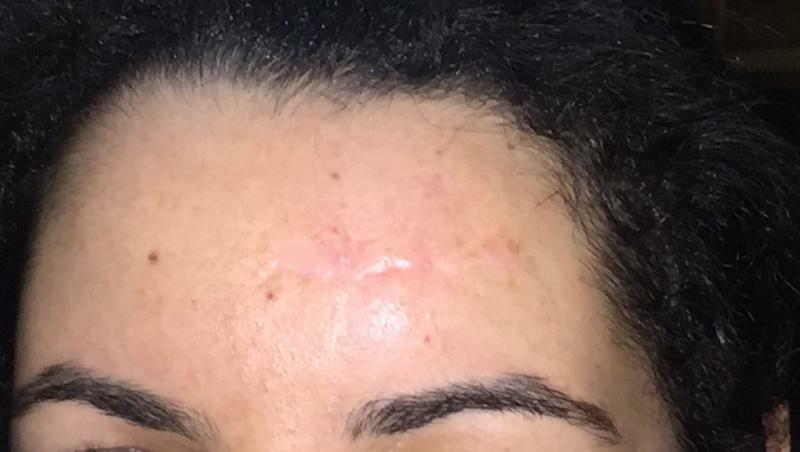 V shaped Skin laceration and deep wound in forehead of a 39-yr. old female: An inconspicuous scar ensued after the surgery which changed it to a linear scar and adjuvant Botox injection by Dr. Wilson. 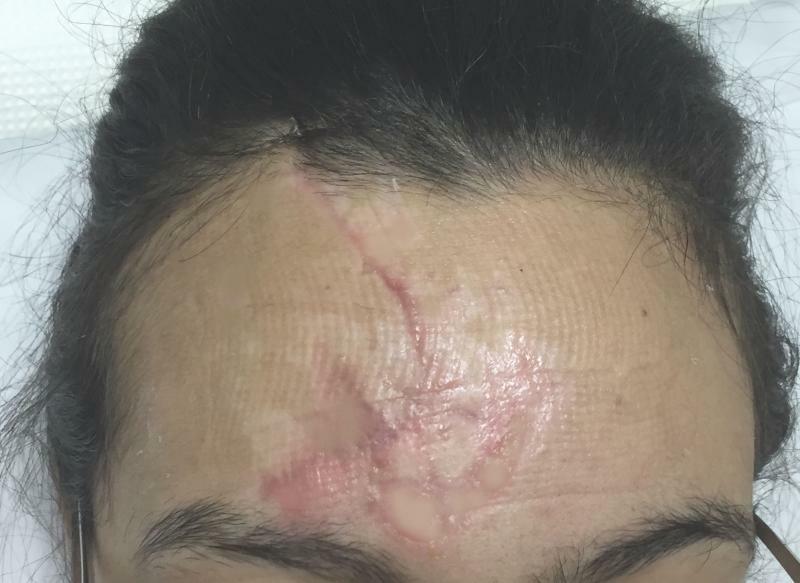 Visible scarring involving forehead of a 26-yr. old female: Dr. Wilson repaired the muscle and skin using his technique with Botox injections and resulting in a very thin invisible scar.﻿ He also changed the appearance of the scar from a Y shape to a transverse scar which is almost invisible. 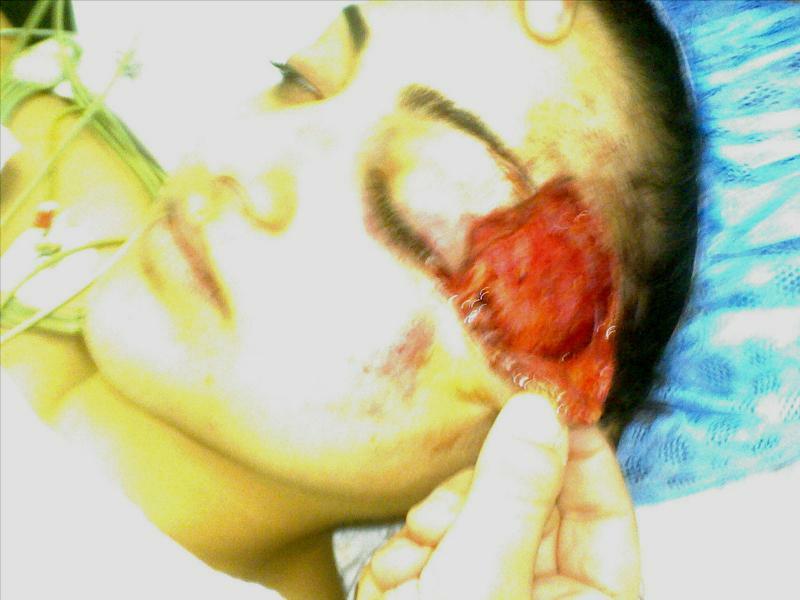 Deep wounds with tissue loss in the left upper eyelid of a 26-yr. old female: Dr. Wilson applied his technique and result is a practically invisible scar. 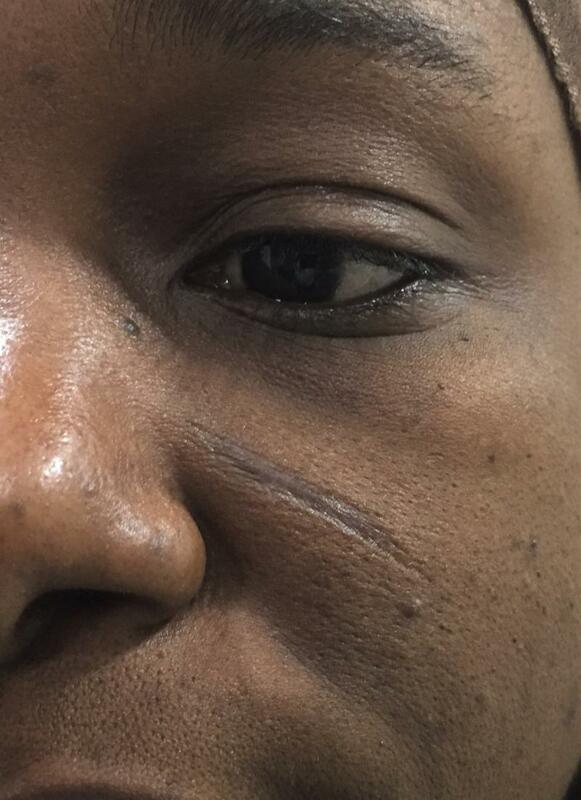 Tribal Mark in the Cheek of a 37-year old female: Scar was revised and removed to an inconspicuous area in a natural fold of the face using the technique of Dr Wilson. 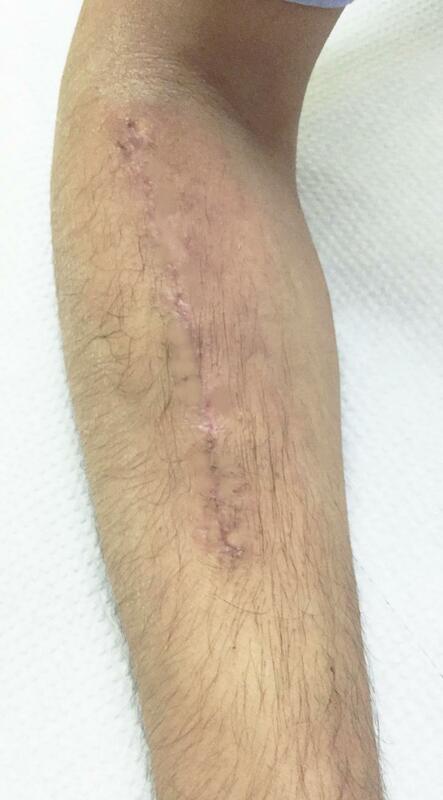 Wide gaped scar in the right forearm of a 22-yr. old male: An inconspicuous scar ensued after the surgery by Dr. 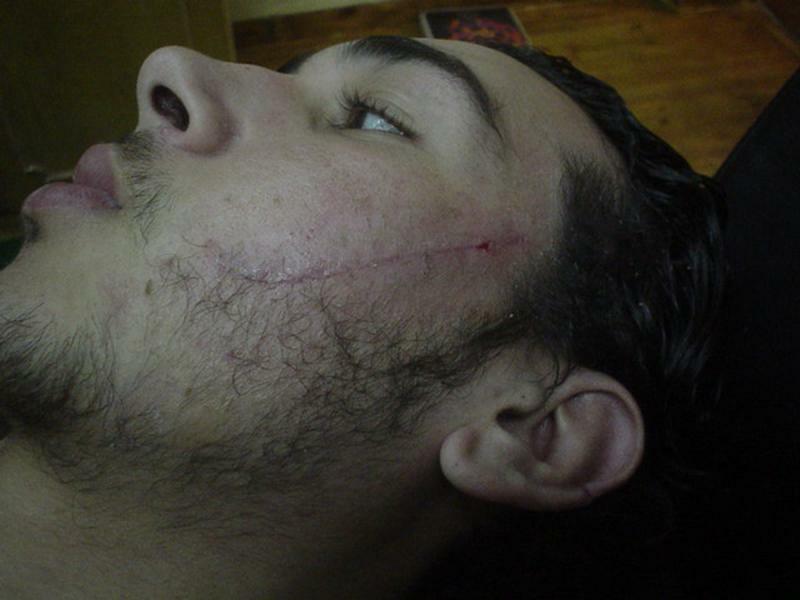 Wilson., in which he used his new technique and overlapped the scar edges. 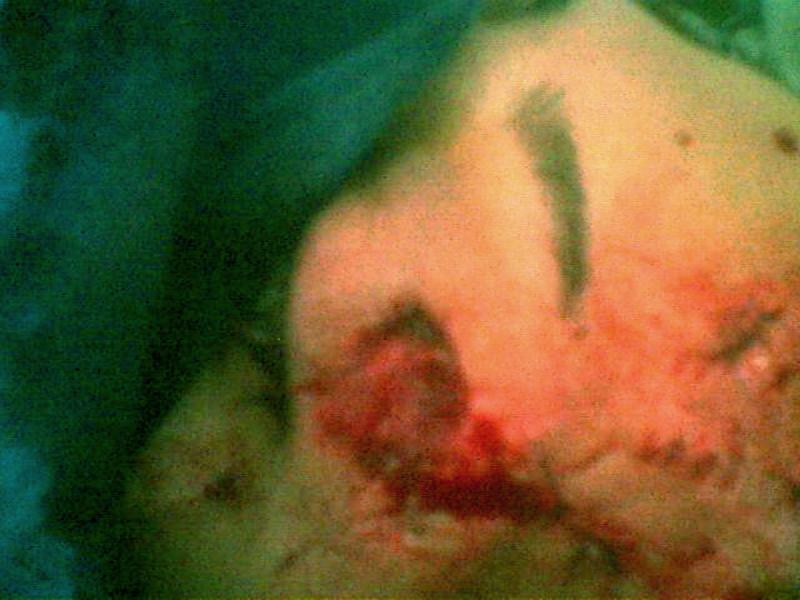 Very deep wound in the temple of a 6-yr. old female child, with extensive facial lacerations: An excellent result was obtained by the use of Dr. Wilson's technique. 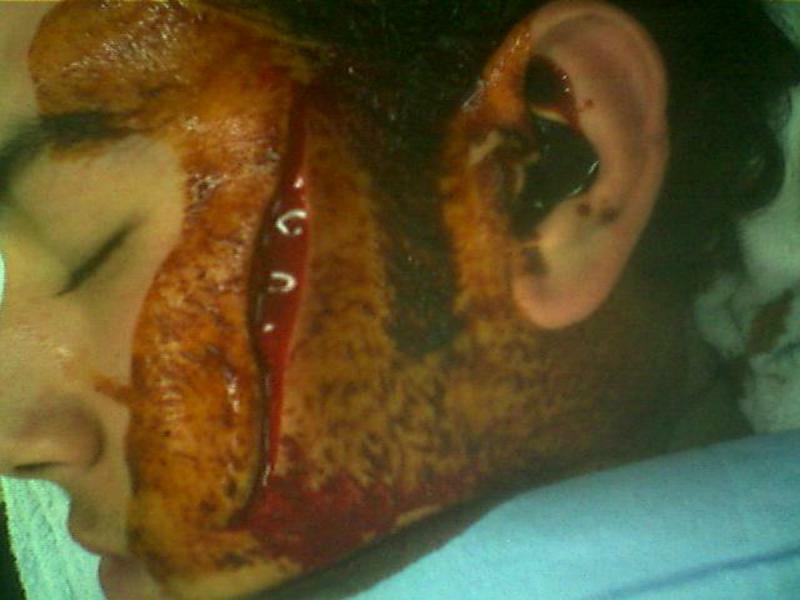 Very deep wound in the cheek of a 31-yr. old male: An excellent result was obtained by the use of Dr. Wilson's technique. 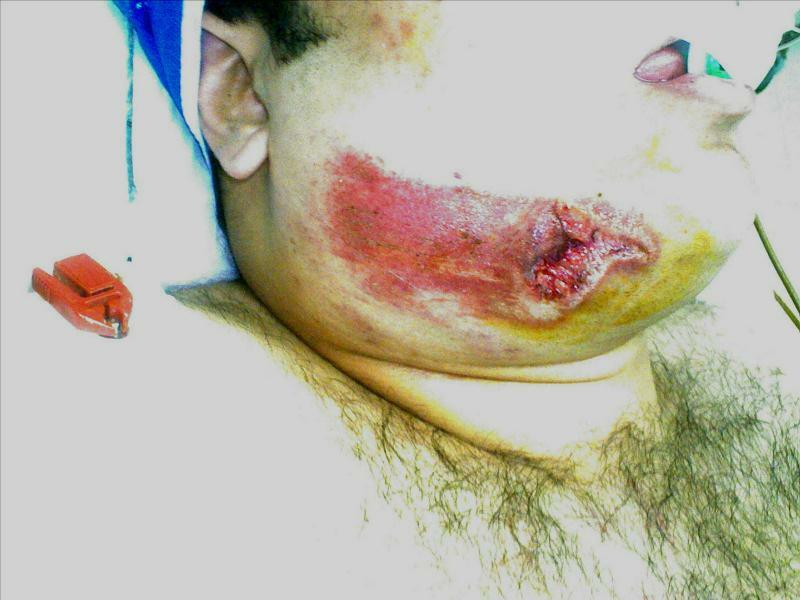 Skin laceration and deep wound over jaw of a 22-yr. old male: An inconspicuous scar ensued after the surgery by Dr. Wilson. 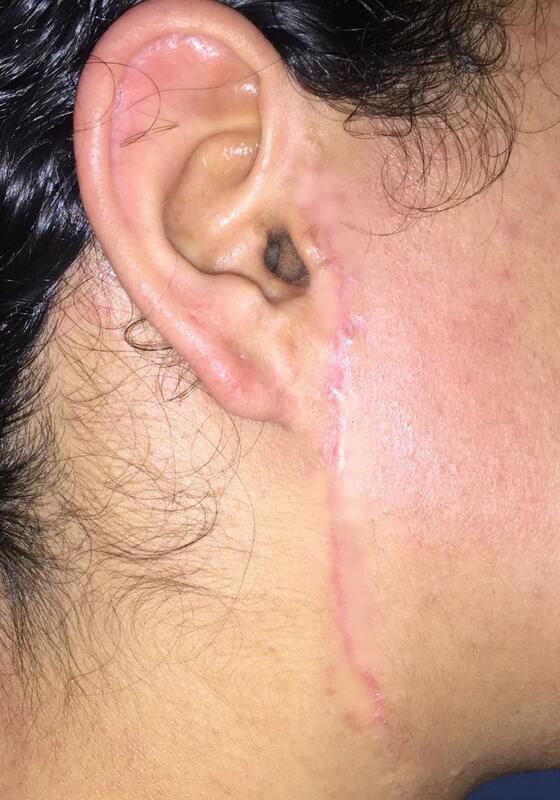 Wide gaped scar in the nape of the neck of a 22-yr. old male: An inconspicuous scar ensued after the surgery by Dr. 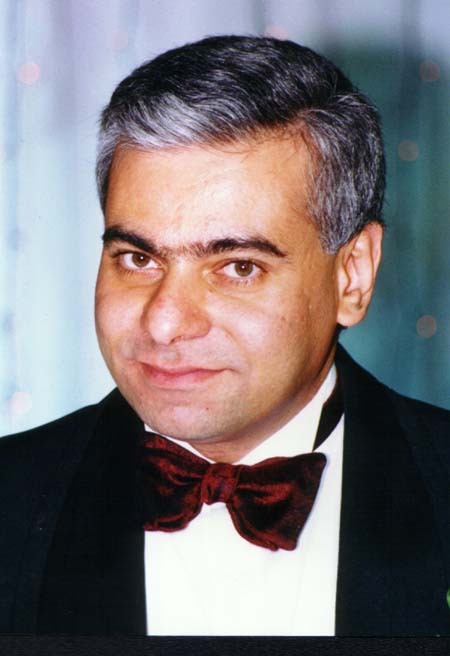 Wilson., in which he used his new technique and Botox injections.